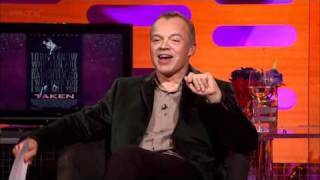 The Graham Norton Show S10E13 feat. Liam Neeson, Patrick Stewart, Alan Davies, Ed Sheeran. Duration : ... Miriam Margolyes, Greg Davies and Adam Lambert.